We work with cooperation partners from science and economy. Professor Dr. Holger Dette is the owner of the professorship of Stochastics at the Ruhr-Universität Bochum and deputy director of the collaborative research center 823 “Statistics of nonlinear dynamic processes”, in which his professorship is involved with numerous subprojects. His research areas include experimental planning, nonparametric regression and financial statistics. Since Quasol’s founding in 2010, Professor Dette has been a scientific mentor. Professor Dr. Dominik Wied is a professor at the Institute of Econometrics and Statistics at the University of Cologne. His research focuses include: Tests for structural breaks and their application to financial data. Quasol has been cooperating with Professor Wied since 2010. With this collaboration, we have been awarded the VTAD Award in 2011 (3rd place). 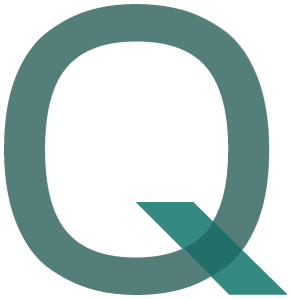 In 2012 Professor Wied became a partner of Quasol, working in the implementation of complex quantitative projects. In addition, he regularly publishes in international high-ranking journals together with Dr. Ziggel. PSplus Portfolio Software + Consulting GmbH is a competent partner in the development and implementation of leading portfolio management software solutions in the financial services sector. User-friendliness and user-specific configurations complete the offer. Since 2011, our calculation cores have also been used for this purpose. In doing so, we develop solutions that can be made available in a general manner, as well as in a customer-specific manner. alpha beta asset management GmbH is an independent and specialized asset manager with a focus on active asset allocation and risk management. Quasol and alpha beta asset management cooperate particularly in the fields of new product development and research. The first jointly developed investment solution has been in place since 2016: the Beta Plus strategy, a global equity portfolio with risk overlay. We are pleased about the strong and versatile partnership with its exciting professional challenges. FAIT Internet Software GmbH develops software for portfolio analysis, optimization and reporting, which is used by banks, financial services providers and investment consultants. In addition, FAIT has over 10 years of experience in purchasing, refining and offering of securities data. After several years of partnership, our expertise has resulted in a comprehensive Robo Advisory offering.